If an atom is exposed to electromagnetic radiation at an energy level that exceeds the various binding energies of the electrons of that atom, the electrons can be ejected. The amount of energy necessary to do that is called the ionization energy for that electron. For the purposes of this exam, ionization energy and binding energy can be considered to be synonymous terms. This energy can be measured either in joules (J) or electron volts (eV). The faster an ejected electron is going, the more kinetic energy it has. Electrons that were originally further away from the nucleus require less energy to eject, and thus will be moving faster. So, by examining the speed of the ejected electrons, we can determine how far they were from the nucleus of the atom in the first place. Usually, it takes electromagnetic radiation in either the visible or ultraviolet range to cause electron emission, while radiation in the infrared range is often used to study chemical bonds. 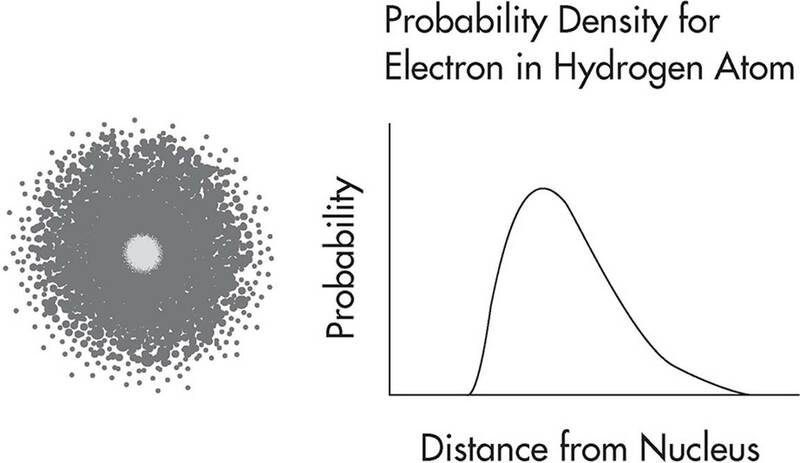 The y-axis describes the relative number of electrons that are ejected from a given energy level, and the x-axis shows the binding energy of those electrons. Unlike most graphs, binding energy (ionization energy) decreases going from left to right in a PES. The spectra on the previous page is for sulfur. Each section of peaks in the PES represents a different energy level. The number of peaks in a section shows us that not all electrons at n = 2+ are located the same distance from the nucleus. With each energy level, there are subshells, which describe the shape of the space the electron can be found in (remember, we are in three dimensional space here). The Bohr model is limited to two dimensions and does not represent the true positions of electrons due to that reason. Electrons do not orbit the nucleus as planets orbit the Sun. Instead, they are found moving about in a certain area of space (the subshell) a given distance (the energy level) away from the nucleus. In all energy levels, the first subshell is called the s-subshell and can hold a maximum of two electrons. The second subshell is called the p-subshell and can hold a maximum of six electrons. 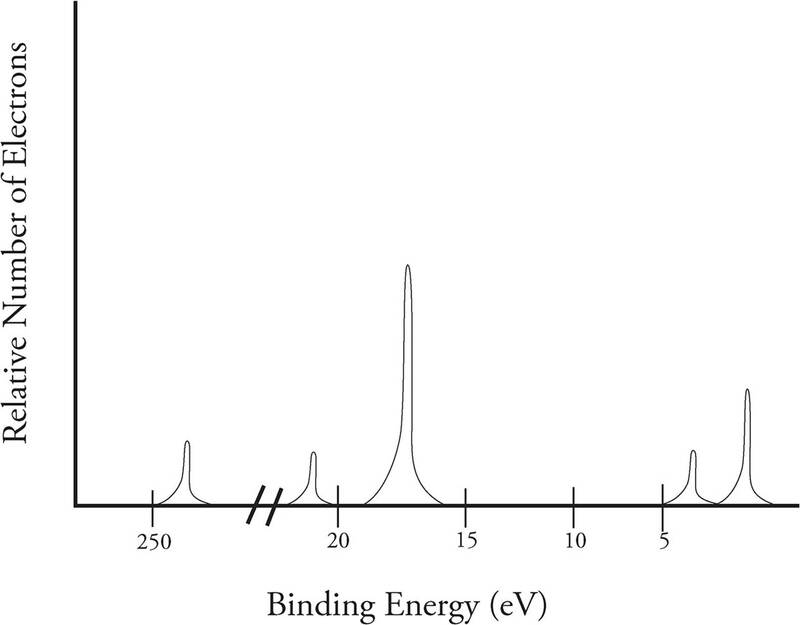 In the spectra on the previous page, we can see the peak for the p-subshell in energy level 2 is three times higher than that of the s-subshell. The relative height of the peaks helps determine the number of electrons in that subshell. In the area for the third energy level, the p-subshell peak is only twice as tall as the s-subshell. 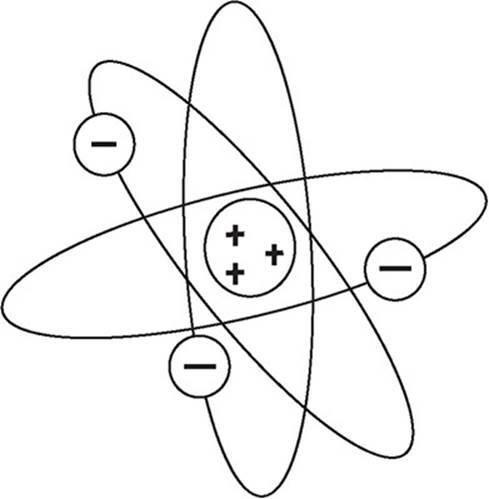 This indicates there are only four electrons in the p-subshell of this particular atom. Studying the PES of elements allows scientists to understand more about the structure of the atom. In addition to the s and p subshells, two others exist: d (10 electrons max) and f (14 electrons max). The periodic table is designed so that each area is exactly the length of one particular subshell. As you can see, the first two groups (plus helium) are in what is called the s-block. The groups on the right of the table are in the p-block, while transition metals make up the d-block. 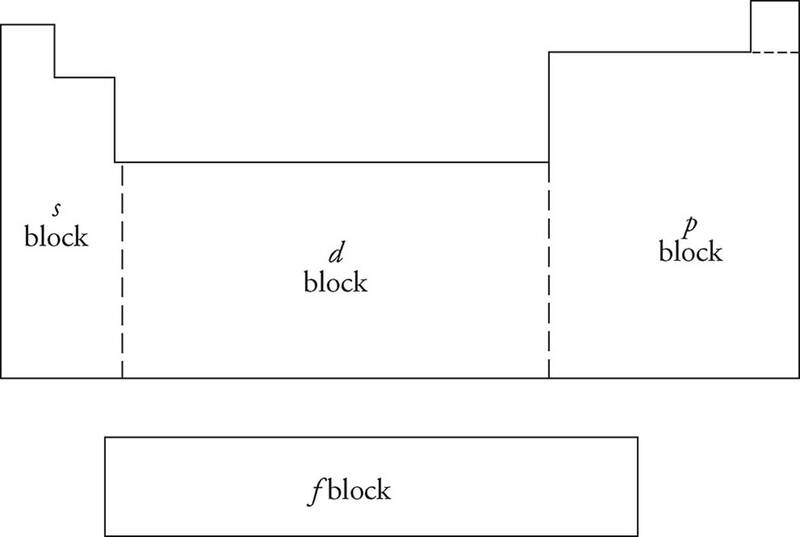 The inner transition metals below the table inhabit the f-block. The complete description of the energy level and subshell that each electron on an element inhabits is called its electron configuration. Example 1: Determine the electron configuration for sulfur. Sulfur has 16 electrons. The first two go into energy level 1 subshell s; this is represented by 1s2. The next two go into energy level 2 subshell s—2s2. Six more fill energy level p (2p6) then two more go into 3s (3s2) and the final four enter into 3p (3p4). So the final configuration is 1s22s22p63s23p4. Using the periodic table as a reference can allow for the determination of any electron configuration. One thing to watch out for is that when entering the d-block (transition metals), the energy level drops by 1. The why behind that isn’t important right now, but you should still be able to apply that rule. Example 2: Determine the electron configuration for nickel. Electron configurations can also be written “shorthand” by replacing parts of them with the symbol for the noble gas at the end of the highest energy level which has been filled. For example, the shorthand notation for Si is [Ne]3s23p3 and the shorthand for nickel would be [Ar]4s23d8. In the early 1800s, John Dalton presented some basic ideas about atoms that we still use today. He was the first to say that there are many different kinds of atoms, which he called elements. He said that these elements combine to form compounds and that these compounds always contain the same ratios of elements. Water (H2O), for instance, always has two hydrogen atoms for every oxygen atom. He also said that atoms are never created or destroyed in chemical reactions. In 1869, Dmitri Mendeleev and Lothar Meyer independently proposed arranging the elements into early versions of the periodic table, based on the trends of the known elements. In the late 1800s, J. J. Thomson watched the deflection of charges in a cathode ray tube and put forth the idea that atoms are composed of positive and negative charges. 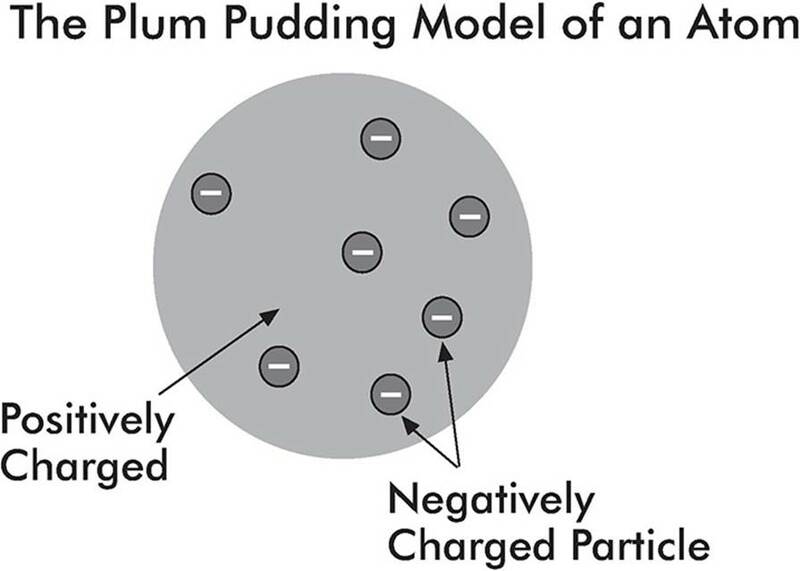 The negative charges were called electrons, and Thomson guessed that they were sprinkled throughout the positively charged atom like chocolate chips sprinkled throughout a blob of cookie dough. Robert Millikan was able to calculate the charge on an electron by examining the behavior of charged oil drops in an electric field. In the early 1900s, Ernest Rutherford fired alpha particles at gold foil and observed how they were scattered. This experiment led him to conclude that all of the positive charge in an atom was concentrated in the center and that an atom is mostly empty space. This led to the idea that an atom has a positively charged nucleus, which contains most of the atom’s mass, and that the tiny, negatively charged electrons travel around this nucleus. Werner Heisenberg said that it is impossible to know both the position and momentum of an electron at a particular instant. In terms of atomic structure, this means that electron orbitals do not represent specific orbits like those of planets. Instead, an electron orbital is a probability function describing the possibility that an electron will be found in a region of space.